If it feels like you're wearing a boulder on your head, it's time to get a new helmet. The Anon Rodan Helmet offers up a super lightweight feel, without kicking protection to the curb. Its Simple Fit capabilities allow easy removal of ear pads and liners, so you can wear it how you like, while the BOA® fit system gives you the ability to micro adjust with just the turn of a dial. Adding to the low-profile look, the Strap-Stash lets you run your goggle strap under the helmet, keeping things hidden away when you don't want them to be seen. It's time to ditch the bulk and slide on into the Anon Rodan Helmet. 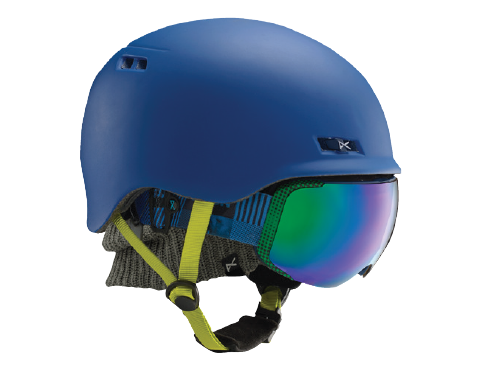 Ultra Lightweight In-Molded Polycarbonate Shell – In-mold helmets fuse a lightweight polycarbonate shell with an EPS liner for the best in comfort with a sleek, low profile fit and feel. 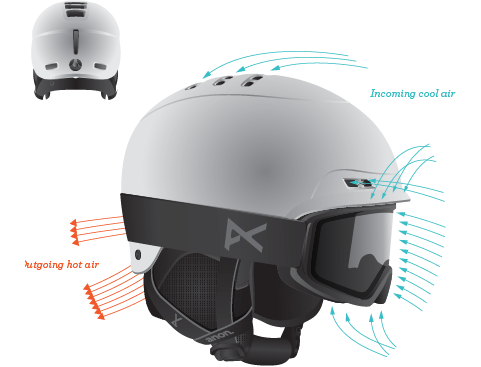 BOA® Fit System – Delivering the best in customizable helmet fit, Anon has partnered with industry leader BOA® to create a fit system that allows for easy, on-the-fly micro adjustments with just a turn of the dial. Anon's BOA® powered fit system smoothly distributes pressure for all-day comfort, without adding any bulk to your kit. Fidlock® Snap Helmet Buckle – Fidlock® is the award-winning designer of a new breed of ultra-fast and -secure fasteners. Fidlock's magnetic SNAP helmet buckle lets you open it with one hand, even if you're wearing gloves -- and closing it is just as easy, which means you can spend less time fiddling with your gear, and more time focusing on your riding.